Pony Axe S is coming to a beach near you! We are delighted to have been successful in gaining an Awards For All grant to cover 5 Pony Axe S days across the country. Pony Axe S takes people who use wheelchairs to all the places where wheelchairs can’t take them. 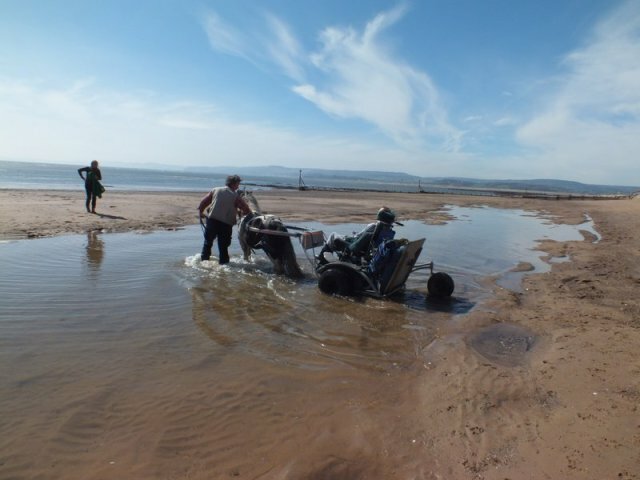 No need to transfer to all terrain or beach wheelchairs, no need to leave your wheelchair behind. They take you, in your wheelchair, anywhere. If you would like to see Pony Axe S in action watch them here. To book contact your Family Support Directors. Tayside families can contact Frances Morgan at f.morgan@dundee.ac.uk,or by calling PAMIS on 01382 385154, in Maureen Phillips’ absence.